Qantas’ non-stop flight from Perth to London has been cancelled due to urgent repairs, leaving passengers facing lengthy delays. Flight QF9 was due to depart Perth International Airport at 5.05 pm yesterday but was cancelled due to an ‘engineering issue’, according to an airline spokesman. ‘The flight was cancelled due an engineering issue which required parts to be sent across to Perth from Melbourne,’ a Qantas spokesman told Daily Mail Australia. 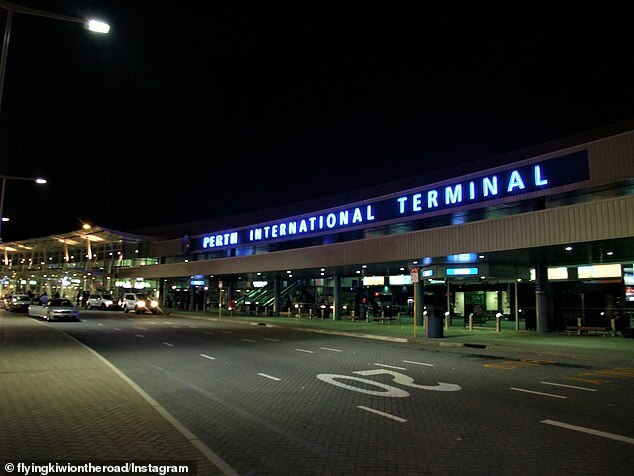 ‘Passengers were provided accommodation and all customers were accommodated on flights within the next 24 hours’. ‘We’re sorry for the delay and we thank customers for their understanding,’ the spokesman said. However, one person claims his mother was made to wait for three days for a flight. 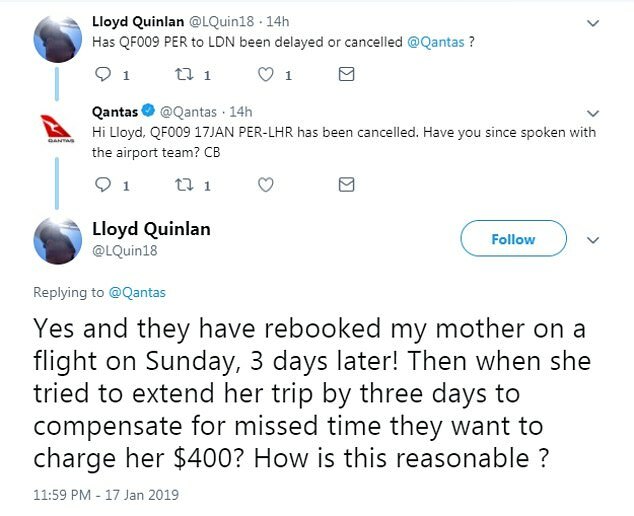 Another Twitter user fumed over how she was booked a flight with a stop and was only offered four hours’ accommodation in a hotel as compensation. ‘Also I paid to get an aisle seat on the non stop but that’s not guaranteed now for my new flights,’ @SophieGooner tweeted at Qantas. The airline apologised in response to the complaints and asked for their full details and booking reference numbers. The plane’s return flight, QF10 from London to Perth, has also been cancelled. 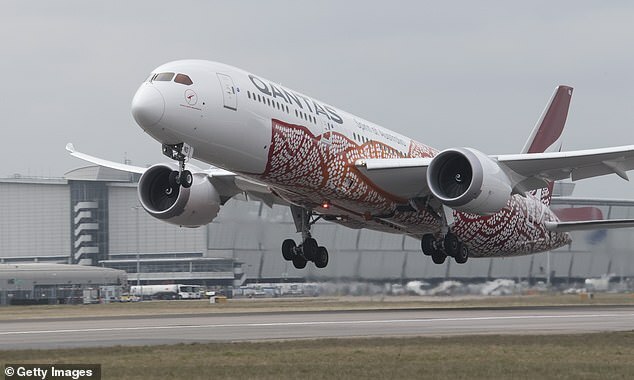 The 17-hour non-stop Perth to London flight was launched in March and was dubbed a huge success for the airline with an average capacity of 92 per cent.